If you're looking into buying a new-to-you vehicle, you might be looking at both new and used. When it comes to used vehicles, certified pre-owned programs can save you money versus buying new while also giving you the peace of mind of having a warranty and knowing the car has passed a multi-point inspection. When looking at the best CPO programs on the market, you want to consider the mileage and age limits, the covered components and whether the warranty is transferable. 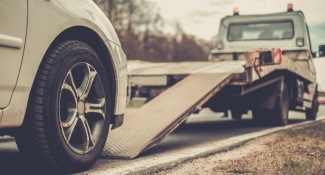 Other things to consider include which parts were reconditioned, whether courtesy transportation is offered when the vehicle is being repaired, and vehicle history reports. Here’s a look at ten of the best certified pre-owned cars and programs on the market and why. The L Certified by Lexus program continues to be the top CPO program on the market. The program offers coverage for 100,000 miles or eight years from the vehicle's status as a new vehicle. Some other perks include courtesy transportation, 24-hour roadside assistance, free maintenance for two years or 20,000 miles from purchase date and trip interruption coverage. The only downside to the Lexus program is that the warranty is not transferable. That is, if you sell your car, the new owner will not benefit. However, you may not even want to sell your Lexus because the brand has one of the highest reliability ratings in the industry. Kia is well-known in the industry for its outstanding powertrain coverage. This program will cover repairs to the main engine components as well as the transmission, transfer case, drive axle and hybrid components. The warranty is for ten years or 100,000 miles, plus 12 months or 12,000 miles of platinum coverage. Vehicles eligible to be covered by this program must have less than 60,000 miles and be no older than five years. The Kia coverage is also transferable to future owners and includes roadside assistance and travel breakdown coverage. If you're in the market for a luxury CPO vehicle, then Porsche is worth a look. Not only is the Porsche brand well-known for reliability and customer satisfaction, but their CPO program includes a warranty and a rigorous inspection. Vehicles approved for this program are covered for ten years from the vehicle's new date or 100,000 miles. The warranty is also transferable and includes roadside assistance. However, as previously mentioned, the Porsche brand is known for its reliability, so you may never need the warranty. Ford's CPO warranty is notable for its coverage of additional components such as the audio and navigation systems. 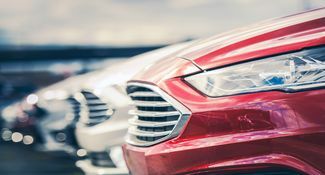 This is significant because many automakers do not include coverage of these extra components in their warranties (and they can be expensive to fix). The CPO warranty is for 12 months or 12,000 miles. The powertrain warranty covers seven years or 100,000 miles from the date the vehicle was purchased new. Another element of Ford's 12-month CPO warranty is coverage of suspension, electrical systems, air conditioning and heating, plus emissions. The warranty is transferable to future owners and includes roadside assistance and rental car allowance among other perks. On top of having one of the best certified pre-owned warranties in the business, Hyundai also lets you combine the balance of the original five-year or 60,000-mile warranty with the powertrain warranty of 10 years or 100,000 miles. The coverage includes no-cost transfers to a new owner as well as roadside assistance, trip interruption and rental car coverage. Hyundai vehicles eligible for this coverage need to be five years old or newer and with less than 60,000 miles. Vehicles then undergo a full 150-point inspection to ensure quality. A clean title is verified through CARFAX. The BMW Elite program covers CPO cars with under 15,000 miles. This program provides 12 months or 25,000 miles of warranty coverage, which starts upon expiration of the original new car warranty. This gives you a total of five years or 75,000 miles from the original date of purchase. A basic pre-owned warranty for higher mileage vehicles covers one year of unlimited mileage, which starts at the end of the four year or 50,000-mile warranty for a new vehicle. Some extra perks include roadside assistance and a courtesy vehicle while the covered vehicle is being serviced at a BMW dealership. For the indecisive car buyers out there, this General Motors plan is worth looking at. If you buy a vehicle and then change your mind or decide that you want a different vehicle within three days or 150 miles, you're free to exchange it. Vehicles that fall under this flexible exchange coverage include models by Buick, Chevy or GMC. The vehicles can be up to five years old and can have as much as 75,000 miles on them to be eligible for the main warranty program. The limited warranty on the powertrain covers six years or 100,000 miles while the bumper-to-bumper warranty covers 12 months or 12,000 miles. Even better, all CPO vehicles must have completed any applicable safety recall work before they're sold. Few manufacturers offer good plans for their electric vehicles, but Nissan has one for its all-electric Leaf. These models can be up to six years old and have as many as 80,000 miles on it. The powertrain warranty covers seven years or 100,000 miles. The available extended warranty from Nissan offers no deductible in repair coverage. Vehicles in this program have to pass a rigorous 167-point inspection and have a verified clean title through CARFAX. Some extra perks include roadside assistance, rental car coverage and towing assistance. The warranty is transferable, but only once to the owner directly after the original owner. Subaru's CPO powertrain warranty has no deductible on covered repairs for seven years or 100,000 miles starting from the date of the car's purchase. Eligible vehicles need to have 80,000 miles or less and be five years old or newer. The warranty can be transferred for a reasonable fee of $75. All Subaru vehicles in this program go through a 152-point inspection and it includes a CARFAX report. Some extra perks include roadside assistance, free trial of SiriusXM radio and a free trial of one year to the STARLINK safety package. If you want a non-luxury brand with high reliability but a lower price tag, then Buick might be worth a look. Similar to Porsche and Lexus, Buick has high dependability ratings and their vehicles come with a good six year or 100,000-mile warranty that is transferable. Extra perks include free maintenance, a loaner vehicle and roadside assistance. Buick also offers good CPO deals with interest rates as low as 1.9 percent. What is a CPO Warranty vs Extended Warranty for Cars? 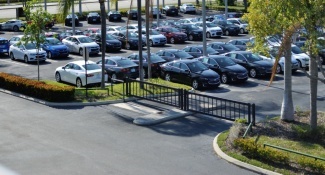 What Does Certified Pre-Owned CPO Mean for Cars?